2017 Leonardo da Vinci Lecture | What is Life? 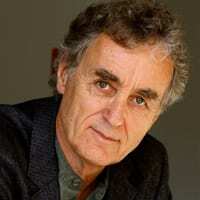 Fritjof Capra is a complexity and systems theorist, physicist, educator, and author of many international bestsellers that connect changes in science with values in society. His research is critical for understanding a systemic conception of life and its implications for a broad range of professions — from the life sciences to economics, management, politics, medicine, psychology, and law. Capra’s most recent book, The Systems View of Life, coauthored with biochemist Pier Luigi Luisi (Cambridge Univ. Press, 2016), presents a grand synthesis of his work by integrating the biological, cognitive, social, and ecological dimensions of life. He is author of three books on Leonardo da Vinci including The Science of Leonardo (Anchor Books, 2008), La Botanica di Leonardo (Aboca Museum Editions, 2009), and Learning from Leonardo (Berrett-Koehler, 2013) . He is also coauthor with Ugo Mattei of The Ecology of Law (Berrett-Koehler, 2015). In 2010, Capra presented the opening keynote at the 8th Swiss Biennial on Science, Technics + Aesthetics: The Large, the Small and the Human Mind featuring Michel Bitbol, Bruno Latour, Isabelle Stengers, Peter Weibel, and Margaret Werthelm. Capra is also a contributor to the edited volume, Systems (Whitechapel: Documents of Contemporary Art series/MIT Press, 2015). He is a founding director of the Berkeley-based Center for Ecoliteracy, which is dedicated to advancing ecology and systems thinking in primary and secondary education, and serves on the faculty of the Amana-Key executive education program in São Paulo, Brazil. He is a Fellow of Schumacher College, an international center for ecological studies in the United Kingdom (UK), and serves on the Council of the Earth Charter Initiative. The main focus of Capra’s environmental education and activism has been to help build and nurture sustainable communities. He believes that to do so, we can learn valuable lessons from the study of ecosystems, which are sustainable communities of plants, animals, and microorganisms. Capra received his Ph.D. in theoretical physics from the University of Vienna in 1966 and spent 20 years doing research in theoretical high-energy physics, including at the University of Paris, the University of California at Santa Cruz, the Stanford Linear Accelerator Center, Imperial College, University of London, and the Lawrence Berkeley National Laboratory at the University of California. He also taught at the University of California, Santa Cruz; the University of California, Berkeley; and San Francisco State University. He holds an Honorary Doctor of Science degree from the University of Plymouth and is the recipient of many other awards, including the Gold Medal of the UK Systems Society, the Neil Postman Award for Career Achievement in Public Intellectual Activity from the Media Ecology Association, the Medal of the President of the Italian Republic, the Leonardo da Vinci Medallion of Honor from the University of Advancing Technology in Tempe, Arizona, the Bioneers Award, and the American Book Award.